John Duffy is CEO and founder of 3Cinteractive, an enterprise software company specializing in mobile consumer engagement. With 25 years of experience in communications and payment processing, John has helped build several successful companies. 3Cinteractive, which he founded in 2005, ranked No. 1 on Forbes’ 2013 list of “America’s Most Promising Companies.” In 2012, he received the Ernst & Young Entrepreneur of The Year Award in Florida, and the Sun Sentinel’s Excalibur Award. 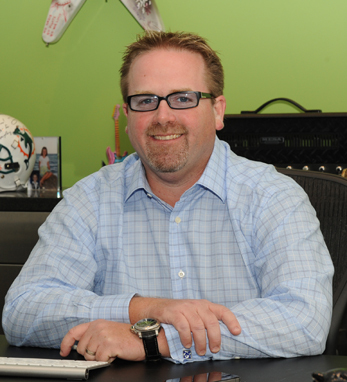 He serves on the boards of the Dan Marino Foundation and the FAU Foundation. A second-generation Irish American, with family from Carrigart, Co. Donegal on his father’s side, John graduated from Ohio University with a degree in business administration. He made his first trip to Ireland as a teenager, and says that it made him understand “what it mean[s] to be Irish. Ingrained in the culture and etched on the faces of the people, I saw the characteristics I admired most in my father – loyalty and hard work.” He and his wife, Michelle, have two daughters, Emily and Annie.